Whether you’re in the market for a townhome or a single-family home, many of Ironstone’s standard finishes are considered industry upgrades. On top of getting a newly built, move-in ready house you also get to avoid the time-consuming and expensive upgrade process. The industry standard for kitchen cabinets is 30 inches in height, but here at Ironstone we start with 36 inch cabinets and reach up to 42 inches. “You get all that extra storage – a whole extra shelf,” says Chantal Julian, Ironstone’s in-house interior designer. This corresponds with our nine-foot ceilings, as opposed to the industry standard of eight feet. “It just feels grand and airy,” Julian says. Ironstone home owners also receive energy-efficient pot lights on the main floor which adds re-sale value. “Very few builders add pot lights as a standard. It’s always considered an upgrade in the industry,” says Julian who has been working in design since 1990. And you won’t be getting frameless mirrors glued to the wall. 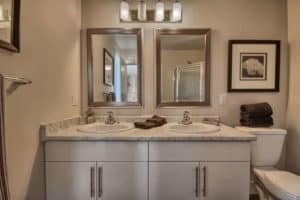 All bathroom mirrors in Ironstone homes are framed. The bonus upgrades continue with a high-end trim package that includes smooth finished doors and Weiser lever handles instead of knobs. 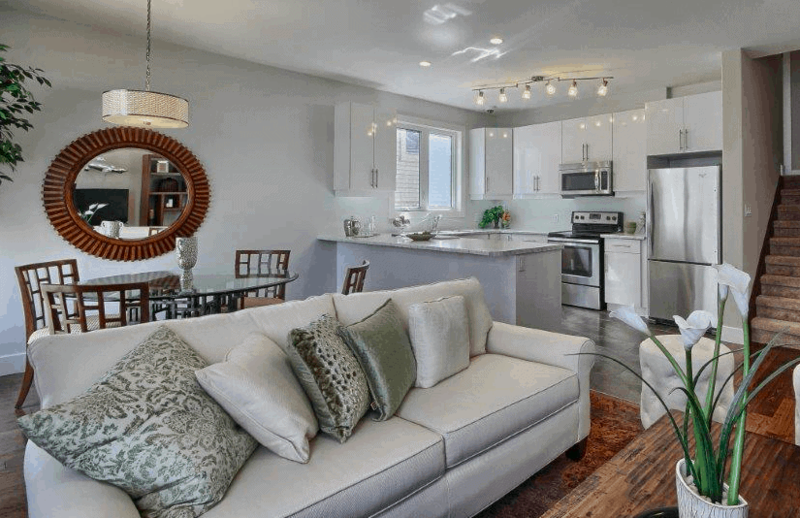 Check out Ironstone’s ready-to-go homes and condos.